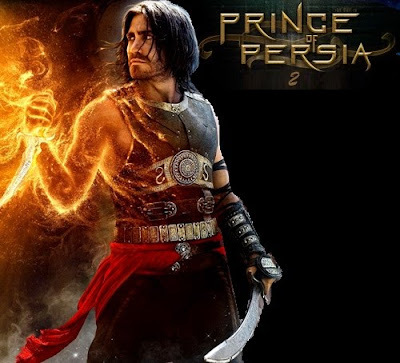 The latest news about Prince of Persia 2, the movie sequel to Prince of Persia. Watch the movie trailer soon. The first Prince of Persia movie is going to be released in a few days. UbiSoft and Disney haven't announced any movie sequel yet. But since the first film is obviously going to be a blockbuster we may already consider Prince of Persia 2 as a done deal. 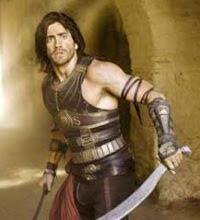 There is no doubt that Jake Gyllenhaal would come reprise his role as Prince Dastan. And I guess Director Mike Newell, unless he's busy with some other project, would be glad to helm the movie sequel to Prince of Persia. Now what would be the plot of Prince of Persia 2? Well, UbiSoft will release a game sequel to the Sands of Time game in May 2010, it's titled The Forgotten Sands. "Visiting his brother’s kingdom following his adventure in Azad, the Prince finds the royal palace under siege from a mighty army bent on its destruction. When the decision is made to use the ancient power of the Sand in a desperate gamble to save the kingdom from total annihilation, the Prince will embark on an epic adventure in which he will learn to bear the mantle of true leadership, and discover that great power often comes with great responsibility." "I don't think the movie and the game need to come back together into lockstep." Anyway I'm impatient to watch the first film and will pray for the movie Prince of Persia 2 to be greenlit as soon as possible!